The Christmas 2013 Specials are now online, click here to see the Retrobike Xmas Specials. We are doing various bundle deals all of which represent a massive saving off normal price. The Christmas 2012 Specials are now online, click here to see the Retrobike Xmas Specials. We are doing hoodie + mug deals, hat + mug deals and bag and sock deals along with loads of other cool stuff. 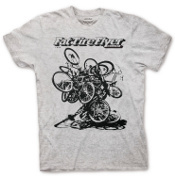 The latest T-Shirt design has arrived here at Retrobike HQ and is now available in the Retrobike Shop. 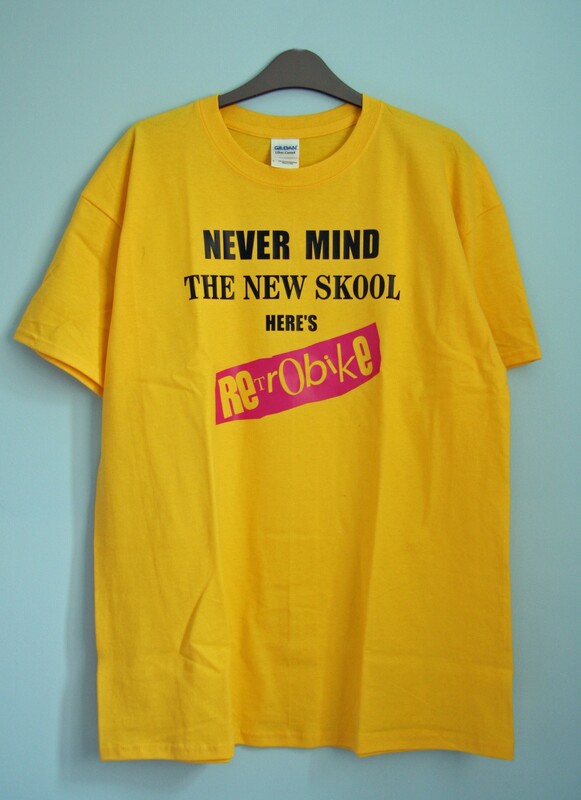 The shirts are inspired by a classic album cover and come emblazoned with the motto ‘Nevermind the New Skool Here’s RETROBIKE’. The shirts are made from top of the range, 207 gsm Ultra T-Shirts and are available NOW for a very reasonable £19.95, click here to buy. 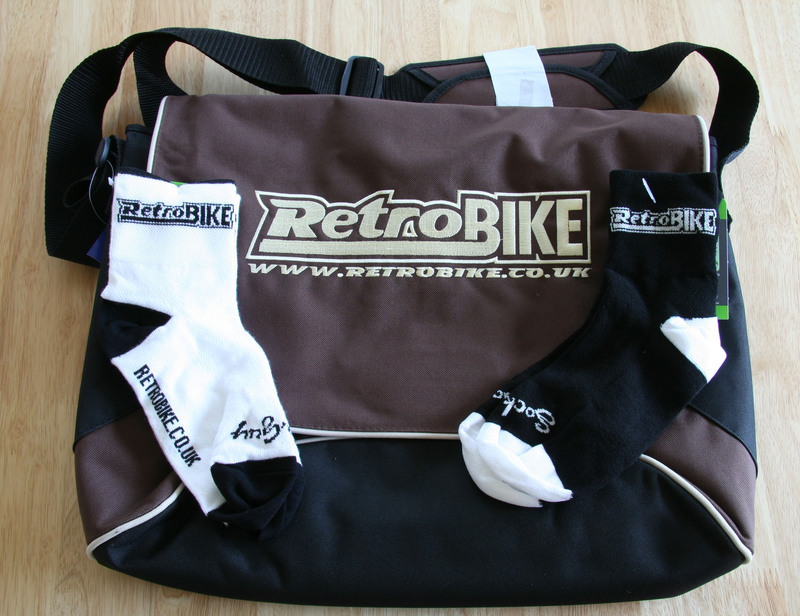 To try and forget non-stop rain and the temperatures in single digits we are offering one of the new Retrobike Messenger Bags and one pair of Retrobike Socks for the extra special price of £32. Offer available here > http://www.retrobike.co.uk/shop/bundle-deals/bag-sock-bundle.html. Offer runs until the end of May. 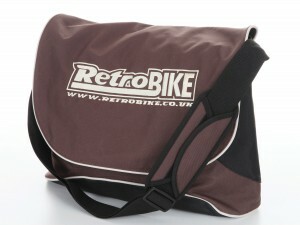 We have just taken delivery of a new range of Retrobike laptop / messenger bags here at RB HQ. 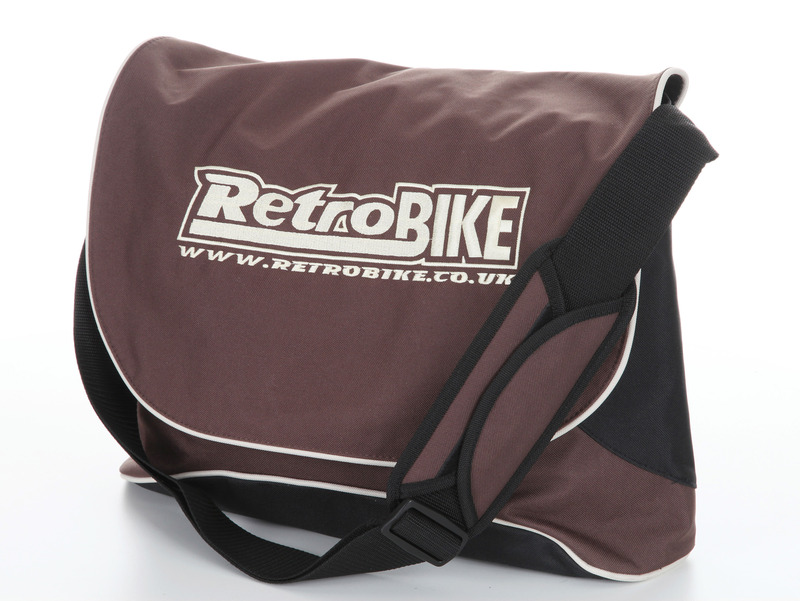 As a special introductory offer (and before the postage price rise ) we are able to offer the bags at £28.95 posted in the UK until the end of the month, click here to buy a Retrobike Bag. This top quality bag features a well padded main compartment, laptop sleeve and of course the logo of your favourite website big and bold on the front. Be quick before the prices have to go up and before we sell out as we did with the previous batch a couple of years back…..
Now have new black and brown peaked beanies in stock in the *all new* Retrobike Shop > Retrobike peaked beanies. 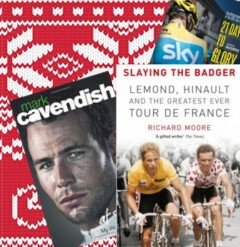 Don’t forget we are doing some great Christmas deals too, check them out here > Retrobike Xmas Specials 2011. Retrobike BIG stickers now in stock, ideal for big applications. Stick them on your disk drive, tool box, arms or car. Click here to buy the retrobike BIG stickers. New online shop is now up and running here > http://www.retrobike.co.uk/shop/ 8) Have added plenty of stock previously unavailable with plenty more cool stuff in the pipeline for (realistically) after Xmas. Shipping is still free on all UK items and calculated at cost for those outside the UK – which should make international postage more reasonable esp if taking a few items. Also got the Xmas 2011 Specials online, click here to see the Retrobike Xmas Specials. We are doing hoodie + mug deals, hat + mug deals and 10% on all Endura kit. The Retrobike Endura kit order V is now extended until May 5th. Be quick if you want any retrobike riding kit this year! Click here for more details and to order. The Retrobike Endura kit order V is now open for orders. It will be closing on May 1st so be quick. Once again we will ordering custom Retrobike Endura baggy shorts and 3/4 along with the usual range of jerseys and cycling shorts. 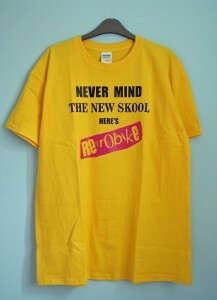 Everyone likes Old School and none more so than Retrobike and Morvélo Bicycle Apparel. Fat Tire Flyer was the original mountainbike magazine co-founded in 1980 by one of the pioneers of Mountain Biking Charlie Kelly. It’s pages contain classic imagery of early off-road action and this cover from May/June 1984, a bike pile after one of the customary early April “Derby’s” in Marin County, sums up the care free and fun loving attitude of the time. Retrobike and Morvélo liked it some much they got in contact with Charlie Kelly to see if they could run a limited edition t-shirt of it. Not only did he say yes, but he also re-scanned in the cover of the original for them to use. His fee? “Just make sure you send me one of the t-shirts!” he said. Still a legend. Just 100 of the t-shirts have been hand-printed onto Morvélo’s customary high quality soft cotton tees, only a handful remain in stock. The shirts are exclusively avilable from the Morvélo online store. For more images of the shirt please see this post on the forum. 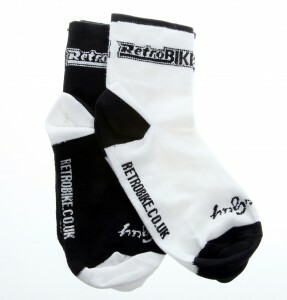 One retrobike mug, one retrobike beanie or baseball hat and a couple of logo stickers for the bargain price of £21. One brown retrobike Lowe Pro courier / laptop bag, one retrobike beanie or baseball hat and a couple of logo stickers for the bargain price of £35.